The Original Big Squirt! Fun Pack of 5 toys represents value and immense fun. Pick one up now and it will ship same day. 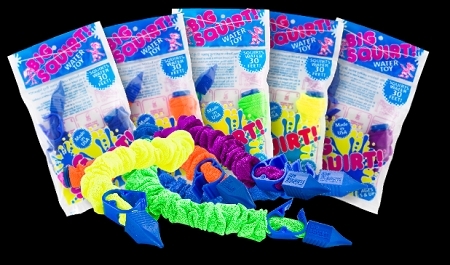 With Memorial Day coming, no is the time to order your last minute Big Squirt!s Order now and be sure to receive them by the big weekend.